People who require help injecting are disproportionately vulnerable to drug-related harm, including HIV transmission. North America’s only sanctioned SIF operates in Vancouver, Canada under an exemption to federal drug laws, which imposes operating regulations prohibiting assisted injections. In response, the Vancouver Area Network of Drug Users (VANDU) launched a peer-run unsanctioned SIF in which trained peer volunteers provide assisted injections to increase the coverage of supervised injection services and minimize drug-related harm. We undertook qualitative interviews (n = 23) and ethnographic observation (50 h) to explore how this facility shaped assisted injection practices. 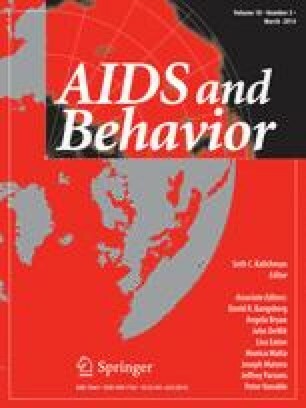 Findings indicated that VANDU reshaped the social, structural, and spatial contexts of assisted injection practices in a manner that minimized HIV and other health risks, while allowing people who require help injecting to escape drug scene violence. Findings underscore the need for changes to regulatory frameworks governing SIFs to ensure that they accommodate people who require help injecting. We thank VANDU and study participants for their contribution to the research. We also thank current and present staff at the British Columbia Centre for Excellence in HIV/AIDS for their research and administrative support. The study was supported by the Canadian Institutes of Health Research (MOP–81171) and the US National Institutes of Health (R01DA033147). Ryan McNeil is supported by the Social Sciences and Humanities Research Council. Will Small and Thomas Kerr are supported by the Michael Smith Foundation for Health Research. Kate Shannon is supported by the Canadian Institutes of Health Research and Michael Smith Foundation for Health Research.